The cast iron urinal in La Trobe Street is thought to have been placed there in 1913. It is one of more than forty erected by the Melbourne City Council between 1903 and 1918, of which eight remain, all still being used for their original purpose. The structures employed a prefabricated system which enabled the urinals to be assembled on site or dismantled and relocated if required. This occurred often, as their prominent locations in the streets sometimes offended contemporary standards of public decency. All of these urinals were cast by C Monteith & Sons, ironfounders, of South Melbourne, whose name plate is attached. Together with the new underground public toilets, built from 1902, they were connected to the new underground sewerage system, constructed by the Melbourne Metropolitan Board of Works from the 1890s and connected in the central city area in 1898. 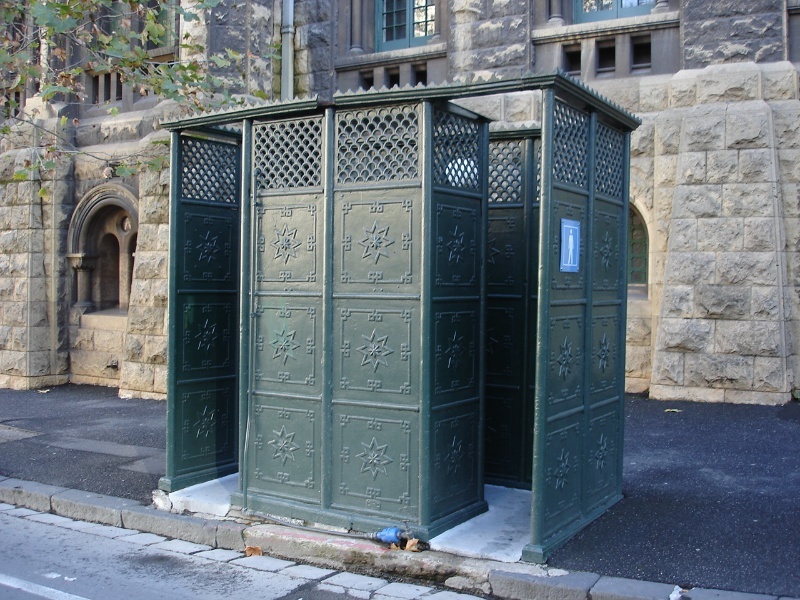 The eight surviving cast iron public urinals in the City of Melbourne were made using a prefabricated system of interlocking cast iron panels and posts. The 600 mm square cast iron panels slotted between 70 mm diameter cast iron columns, fixed at the base to bluestone footings and at the top to a cast iron channel which also serves as a gutter. Plans varied from three modules (for a single stall) to six modules (four stall). The majority were four modules long, containing two stalls. The La Trobe Street urinal is a two stall urinal, opening directly onto the roadway, and has terracotta stalls. As well as the usual McCraith & Sons nameplate, it also has two plates not seen elsewhere, with the inscription 'MADE BY ANDERSON & MITCHELL MELBOURNE'. J T N Anderson and David Mitchell were business associates of John Monash, and various partnerships were formed between the three at various times in the early twentieth century. The public cast urinal in La Trobe Street is of historical and architectural significance to the state of Victoria. The cast iron urinal in La Trobe Street is historically significant as one of a number of such structures erected by the City of Melbourne between 1903 and 1918, which were among the first public toilets in the City connected to the new underground sewerage system. They are a reminder of Melbourne's transition from a smelly disease ridden city to a healthier, cleaner and more modern metropolis in the first two decades of the twentieth century. The provision of a much greater number of public facilities for men compared to women in the city is a reflection the continuing gender inequalities in Victorian society at the time. The cast iron urinal in La Trobe Street is of architectural significance as an example of an unusual building type and of early twentieth century civic design, demonstrating the elegant street furniture developed in Victoria at the time. Although serving a basic function, the urinals were still designed to be an attractive addition to the city streetscapes. 1. All the land marked L1 on Diagram 2140 held by the Executive Director. 2. All the structure B1 on Diagram 2140 held by the Executive Director. Until 1859, Melbourne had no public toilets. Facilities were only available in hotels and markets, and the secluded corners and laneways of the city were frequently used by men needing to relieve themselves. The lack of public facilities led to numerous complaints being made to the Melbourne City Council about the 'indecent nuisances' being committed in public places. A growing awareness of European advances in such technology, and the opening of the Yan Yean reservoir in 1858, which meant that piped water was now available, led to the building of the first public urinal in 1859 on the pavement outside the Post Office in Bourke Street. However prudish nineteenth century attitudes to bodily functions meant that this prominent location became the focus of complaint, and it was soon moved to a less prominent site on the south side of Flinders Street near King Street. Between 1859 and 1918 Melbourne City Council erected many urinals around the city in response to community pressure to clean up the streets and to safeguard public decency and public health. The first public conveniences were only for men: urinals built over the stinking open drainage channels, three feet wide and a foot and a half deep, which lined the city streets and drained into the Yarra. It was said that urinals being placed over the gutters enabled a man 'to use the facility and hold on to his horse at the same time' (Schauble, 'Monuments in lieu of memories'). The first urinal was a rough structure of iron and timber, but later ones were more elaborate structures, the one person urinals being circular in plan and resembling the decorative French pissoirs. In 1860 the Argus reported on a new 'commodite', 'a neat little pagoda-kind of building' on a bluestone base, in the centre of the roadway at the intersection of Bourke and Swanston Streets. Its lower portion was constructed of iron panels with upper glass panels carrying 'sundry business announcements, readable only from the outside'. On its roof were a clock and a vane, the whole structure being illuminated at night. By the 1870s some cast iron urinals had gas lamps attached. As the number of public toilets in the city increased the outer parts of the municipality, such as Carlton and South Yarra, became the focus of complaints. Complaints about the urinals were many, with detractors objecting to the visual pollution, their use as a haunt for objectionable characters, their smell and their general effect on public decency. Men commonly 'adjusting their dress', which then involved numerous buttons, in public view as they left offended contemporary standards of decency. With the approach of the 1880 International Exhibition attention was drawn to the urinal at the corner of Lonsdale and Stephen (Exhibition) Street, which was a gathering point for 'objectionable characters'. The council fitted iron spikes to the nearby stonework to stop any lounging about. The location of urinals became a particular problem to the Council, the Assistant surveyor noting that 'no matter when a urinal is erected, there is always a certain amount of captious criticism'. The complaints of citizens were parried by moving contentious new structures to less controversial sites. By the 1880s concerns about public health were added to those about public cleanliness and decency. A vigorous public health campaign led by the medical profession linked dirt and disease, and called for a cleaner and healthier city. It was not until after the establishment of the Melbourne Metropolitan Board of Works in December 1890 that Melbourne's underground sewerage system began to be constructed. By 1902 a number of new underground public toilets in the city, for women now as well as men, were being connected to the new sewerage system. From 1903 urinals were also being connected, and their number increased rapidly. The dominance of hoteliers on the City Council ensured that facilities were usually close to their establishments (Schauble, 'Monuments in lieu of memories'). The population of Melbourne increased rapidly in the first two decades of the twentieth century, and many of the city's offices and department stores were also built at this time. City businesses and department stores started requesting the Council to install public urinals at convenient locations near busy intersections for their clients. By 1911 there were 71 urinals with 210 stalls in Melbourne. Between 1903 and 1918 at least forty of the cast iron urinals were erected on footpaths, in road reserves at intersections near tram stops, and in public gardens. Only eight of these remain. The predominance of public toilet facilities for men in the city compared to those provided for women in the early twentieth century demonstrates the continuation of the nineteenth century view that a woman's place was in the domestic rather than the public realm. 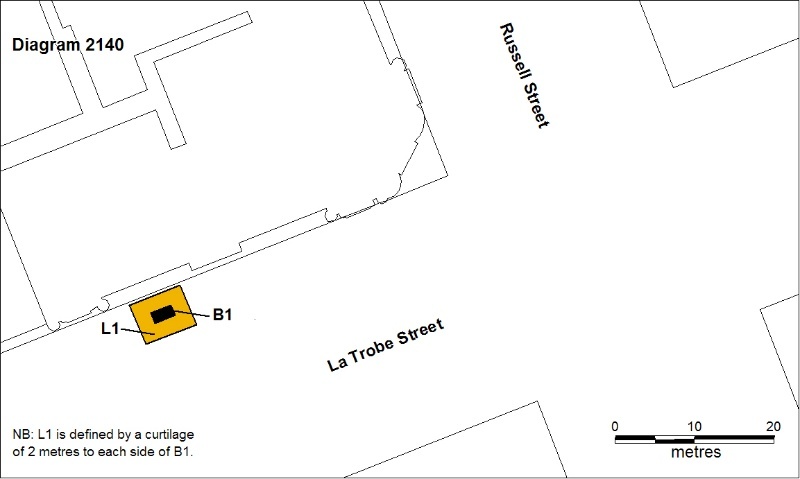 While the first urinal was built in 1859, the first women's public toilet, the underground facility at the corner of Russell and Bourke Streets, was not constructed until 1902. This was despite the fact that by 1901 females made up one third of all city workers, and many more visited the city for business, to shop and to socialise. By 1918 six underground toilets had been built for men, and only three for women; well into the twentieth century there were always many more facilities provided for men than for women. In the 1860s urinals may have been imported from Britain, but local foundries began casting an elaborate circular one person urinal in the 1870s. By the 1920s most of these had been removed, and none now remain. The type still found in the city is the rectangular plan two or four person urinal created between 1903 and 1918. 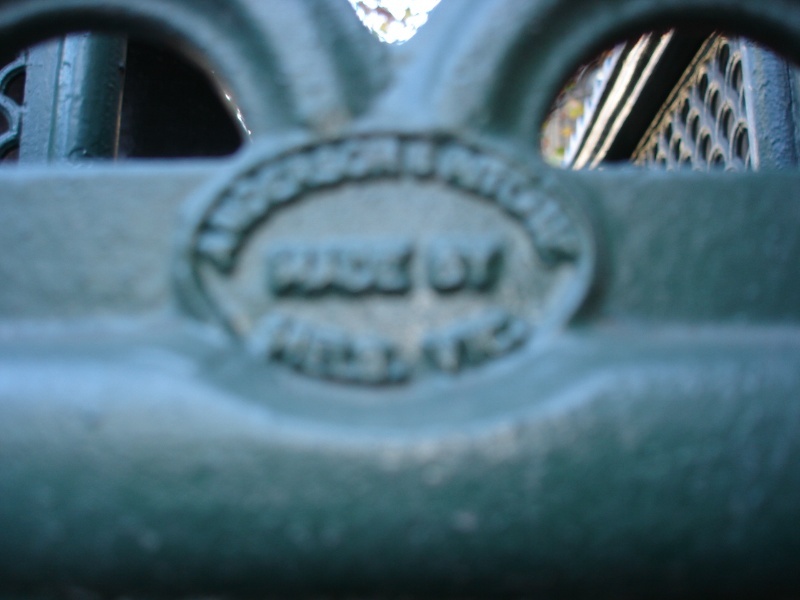 These are of cast iron, cast by C Monteith & Sons, iron-founders, of South Melbourne. They employed a prefabricated interlocking post and panel system which enabled the urinals to be erected on site, or dismantled and relocated. The foundry of C Monteith & Sons was established soon after 1870, when the experienced iron-founder Charles Monteith arrived in Melbourne from Falkirk, Scotland. The firm produced ornamental cast iron work, including iron for the Collingwood Town Hall, and at one time it employed over forty men and exported its work to other colonies. Charles Monteith Junior designed the patterns for the iron work produced by the firm in the nineteenth century, and when Charles Monteith Senior died in 1903 it is likely that his son designed the ornamental pattern of the panels and lattice ventilation grille for the firm's cast iron urinals. The pattern of the Melbourne urinals shows marked similarity to one in the 'Catalogue of Pressed Metal and Cast Iron Conveniences' of the firm of McDowell, Steven & Co, Glasgow, and may well be Scottish (rather than Parisian) in origin. No copy of the catalogue has apparently survived. Andrew Browne-May, Melbourne Street Life, pp 95-107. Angela Taylor, Report produced by Angela Taylor as a Master of Arts in Public History Project, Monash University, in association with the Historic Buildings Council, June 1995. The cast iron urinal in La Trobe Street is thought to have been placed there in 1913. The cast iron urinal is a reminder of public health reform in Melbourne in the late nineteenth and early twentieth century and of Melbourne's growth into a clean, healthy, modern city. The urinals, together with the underground public toilets which began to be constructed at about the same time, were made possible by the construction of Melbourne's underground sewerage system by the Melbourne Metropolitan Board of Works from the late nineteenth century. The cast iron urinal is one of more than forty erected by the City Of Melbourne between 1903 and 1918, of which only eight now remain. The group is unique in Australia. 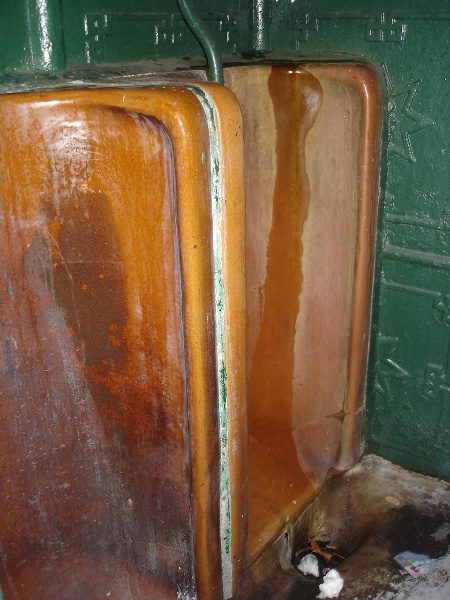 The urinal in is a rare surviving example of the cast iron urinals erected by the City of Melbourne in the early twentieth century. The urinal is an example of the elegant street furniture created in Victoria in the early twentieth century. Although serving a basic function, the urinals were still designed to be an attractive addition to the city streetscapes. The urinal is a reflection of the development of Melbourne's underground sewerage system by the Melbourne & metropolitan Board of Works from the late nineteenth century. It is also a demonstration of the industrial and design achievements of Victoria. The cast iron urinal has continued to provide a convenient facility for the male population of the city for the last century. This is one of only eight remaining of the more than forty prefabricated cast iron urinals, linked to the city's new underground sewerage system, erected by the City of Melbourne between 1903 and 1918. The significance of the place lies in its rarity and intactness as an early twentieth century cast urinal which has remained in continuous use since its erection. Both the cast iron structure and the original porcelain urinals inside are integral to the significance of the place, and any alterations that impact on their significance are subject to permit application.